Enter to win a trip for 2 to Houston, Texas and $1,000 cash! Sweepstakes is open to residents of the fifty (50) United States and District of Columbia who are twenty-one (21) years of age or older at the time of entry. A trip for winner and one (1) guest to Houston, Texas. Travel Dates: August 23, 2019 – August 25, 2019. 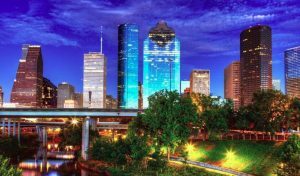 Trip consists of a training program and tour of Space Center Houston, double-occupancy hotel accommodations for two (2) consecutive nights and a $1,000.00 preloaded debit card which may be used towards transportation and/or travel expenses. Approximate Retail Value: $2,800.00.